Oh my goodness, I'm a winner! 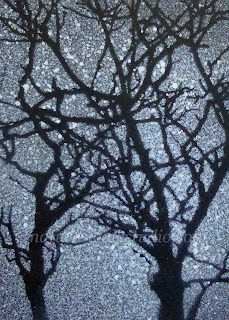 The theme for July's monthly ATC contest on ATCsforALL.com was black and white. I submitted the following "Starry Night Tree. The members vote on the entries for the month, and my card had the most votes! Cool, huh? And even more, I get prizes! 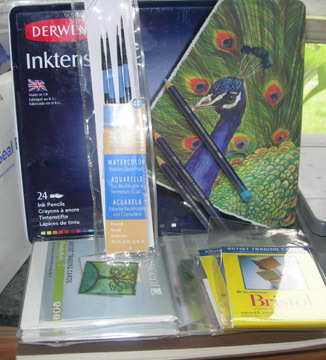 A set of 24 Derwent Inktense pencils, palette paper, paint brushes and ATC blanks. Can't wait to get them to start playing around. Happy Friday! congrats on the win, it's a beautiful little piece and what great prizes Helen! Little Birds make me happy!